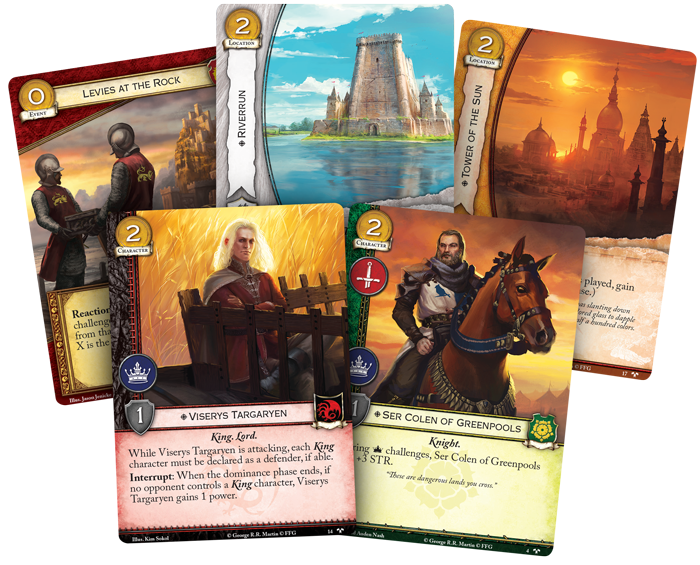 Fantasy Flight Games is proud to announce Across the Seven Kingdoms, the first Chapter Pack in the War of Five Kingscycle for A Game of Thrones: The Card Game! One of the principal components of the War of Five Kings cycle is the fact that new King characters will join six of the eight factions over the course of the cycle. 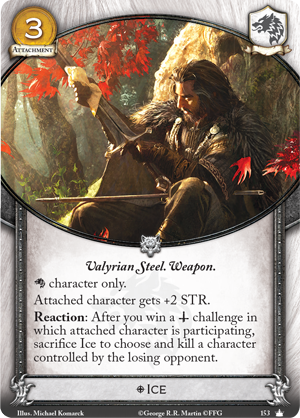 In Across the Seven Kingdoms, you’ll find two of these Kings, but each presents a very different approach to your struggle for power. The first King you’ll encounter in this Chapter Pack is none other than Robb Stark (Across the Seven Kingdoms, 2). 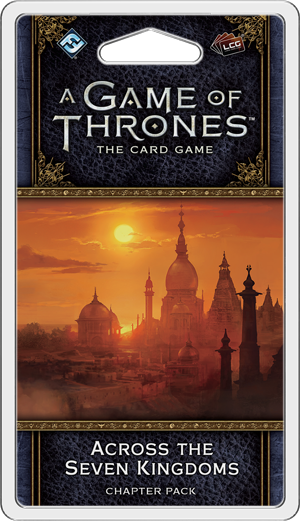 With a cost of seven gold, Robb takes his place among the most expensive characters inA Game of Thrones: The Card Game. He bears the renown keyword, and during military challenges, his already formidable STR is increased by one for each loyal character you control. 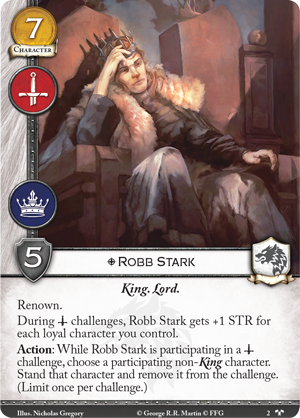 Of course, Robb himself is a loyal character, so he can boost his own STR during military challenges. If that weren’t enough to make Robb a dangerous opponent on the battlefield, Robb Stark also has an ability, which reads, “Action:While Robb Stark is participating in a military challenge, choose a participating non-King character. Stand that character and remove it from the challenge. (Limit once per challenge. )” Combine this ability with Robb’s inherent STR boosts, it’s going to be almost impossible for your opponent to gain an advantage during a military challenge when Robb is participating, whether you push out your opponent’s forces or pull back your own characters that aren’t needed to win. This military superiority can naturally translate into a superior board presence, and with Robb Stark on your side, it’s easier than ever to trigger powerful effects likePut to the Sword (Core Set, 41) or Ice (Core Set, 153). 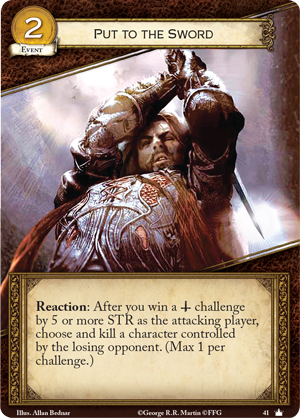 The other King featured in Across the Seven Kingdoms is nearly the polar opposite of Robb Stark, but you may discover that he’s no less irritating for your opponent to face across the table. Viserys Targaryen lived for years among the Free Cities of Essos, all while attempting to gather an army to return and conquer Westeros. Though he commanded no massive armies, the threat of his presence was felt even by Robert Baratheon in King’s Landing, and he can pose a similar threat to your opponent’s Kings. In game terms, Viserys Targaryen (Across the Seven Kingdoms, 14) ranks among the very cheapest characters—costing only two gold and providing only a single power icon and one STR. Once you read his ability, however, it quickly becomes apparent that Viserys can be a massive irritation: while Viserys Targaryen is attacking, each Kingcharacter must be declared as a defender, if able. Although any other King would overpower Viserys in a challenge, winning the challenge isn’t the point. 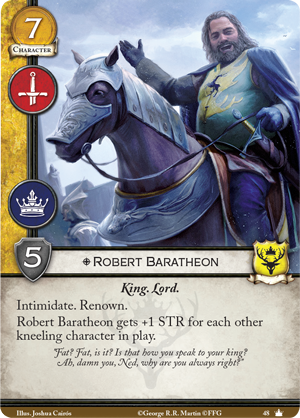 If your opponent has a Kinglike Robb Stark or Robert Baratheon (Core Set, 48) in play, they certainly don’t want to waste his abilities defending a tiny power challenge, but they’ll be forced to do that very thing. 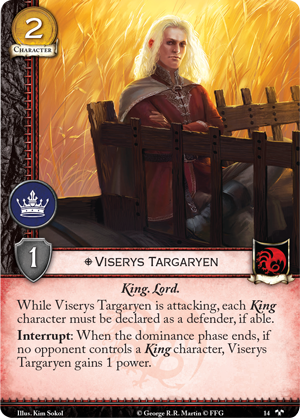 And if your opponent has no King characters in play, Viserys is no less a thorn in their side. When the dominance phase ends, if no opponent controls a King character, Viserys immediately gains one power, pushing you immediately closer to victory.